Do you ever make something and wonder how you never made it before? Yeah that’s the case with these cookies. 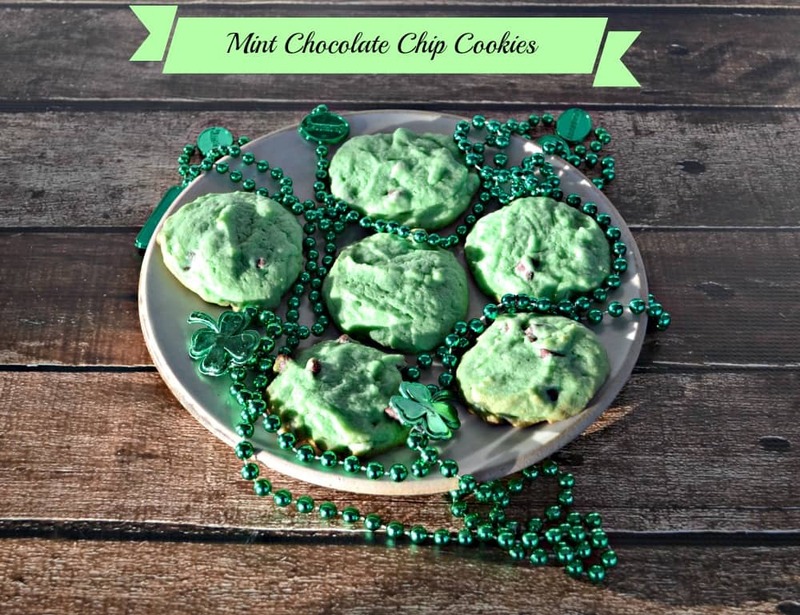 I love mint chocolate chip and can’t believe that I haven’t ever made cookies with mint chocolate chip before! 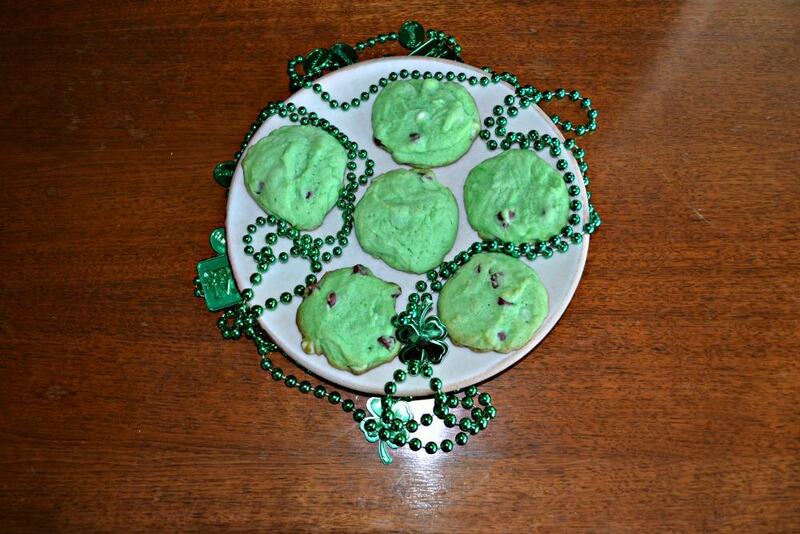 Since St. Patrick’s Day is only a few days away I knew I had to make these cookies and fast! These cookies are easy to make. 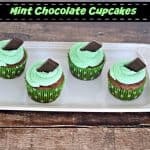 It’s just like making a chocolate chip cookie except you put a little bit of mint in it, add some food coloring, and add mint and dark chocolate chips. That’s it! 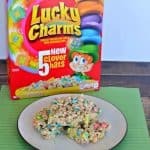 I made a batch of these for the kids at school and they thought they were great. They really liked that the cookies were green. They kept calling them leprechaun cookies and I thought that was a good name for them. 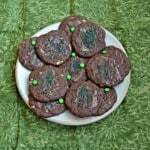 The cookie is bright green, has subtle mint flavor, and is studded with mint and dark chocolate chips. I actually found a bag that had this combination in it together! If you can’t find the combination, simply buy two separate bags. 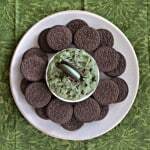 Mint green cookies studded with dark chocolate and mint chips are a fun St. Patrick's Day treat. In a large bowl combine the flour, baking soda, and sea salt. Mix and set aside. In another large bowl cream the butter and sugars. Stir in the peppermint extract and green food coloring. Beat until the color in even. Add the flour mixture to the green butter mixture and mix until well combined. Stir in the dark chocolate and mint chips. Drop the cookie batter by heaping tablespoons onto ungreased cookie sheets. Space the cookies 2 inches apart. 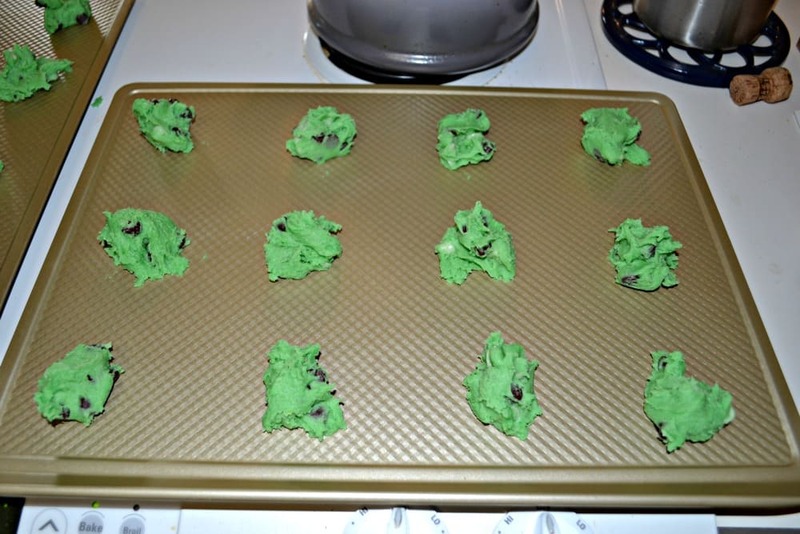 Bake for 11-13 minutes or until the cookies are lightly browned. Remove from oven, cool for 2 minutes on the cookie sheet, and cool complete on a wire rack.